I’m all about broccoli lately….I seriously just can’t get enough of it. And so I’m always looking for new ways to prepare it so that I won’t get bored. This Tangy Garlic Broccoli Recipe is not only incredibly easy, but delicious! 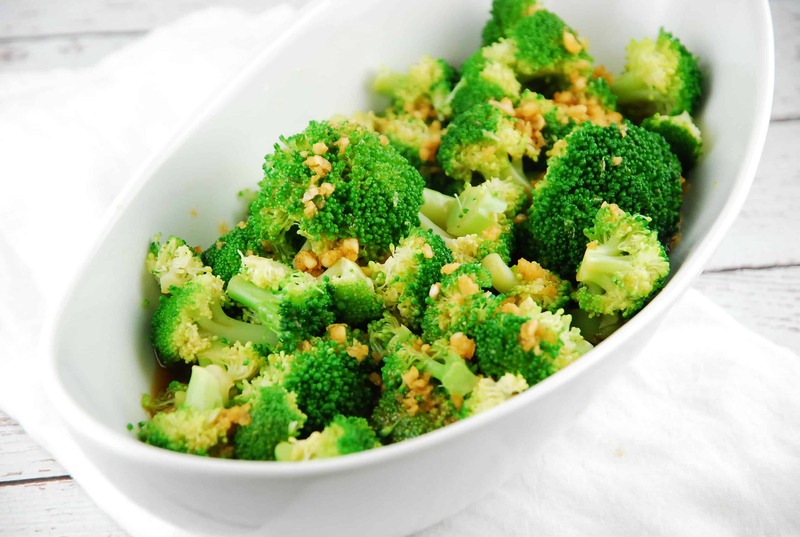 The ingredients come together beautifully to give one serious kick of flavor to basic steamed broccoli, and the end result is a fantastic Weight Watches Side Dish Recipe that’s just 1 Point per serving. Bold, Asian-style flavors give steamed broccoli a tremendous flavor boost without adding too much extra fat and calories. This tangy and flavorful vegetable side dish recipe is a perfect way to kick up a basic veggie! In a small bowl, whisk together the soy sauce, sesame oil, vinegar, lime juice, honey and garlic. Steam broccoli until tender and bright green. Pour sauce over broccoli while it is still hot. Toss well to coat. I’m not vegan but this will not be considered vegan bc it has honey. You can use coconut amino…it’s a great substitute for soy-free substitute soy sauce!